After 40 years as a jazz professional, appearing on several hundred albums as leader and sideman, Kenny Burrell is among the handful of guitar greats who have forever changed the role of their instrument. Aside from his performing and recording schedule, Kenny has been a teacher at the University of California at Los Angeles (UCLA) for many years. Included in his teaching schedule is a special course that he developed on the music and life of Duke Ellington called Ellingtonia. Started in 1978, it was the first regular college course on Ellington taught in the United States. In addition he is also the founder and director of the Jazz Studies Program at UCLA where he is a professor of music and ethnomusicology. He is also a lecturer and director of workshops on guitar and Jazz studies, founder and President Emeritus, of the Jazz Heritage Foundation, and all around crusader for the recognition of jazz as a classical art form. 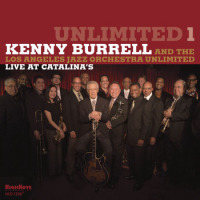 Kenny Burrell is also a prolific composer whose work is more and more in demand. Kenny is composer of the 1998 Grammy Award winning song Dear Ella, performed by Dee Dee Bridgewater. His compositions have been recorded by many other great artists such as Ray Brown, Jimmy Smith, Grover Washington Jr., John Coltrane, June Christy, Frank Wes and Stevie Ray Vaughn. More recently, he received a commission grant from Meet the Composer, Inc. to write an original, extended composition for the Boys Choir of Harlem which premiered at New York's Lincoln Center, and in 1997 was recorded for Concord Records. Kenny, who credits Charlie Christian, Oscar Moore, and Django Reinhardt as influences, as well as such blues men as T-Bone Walker and Muddy Waters, played on his first major recording session in Detroit in 1951 with a Dizzy Gillespie combo that included John Coltrane, Milt Jackson, and Percy Heath. Even though the young guitarist was keeping heavy company, including that of such other up- and-coming Detroiters as Tommy Flanagan, Yusef Lateef, Pepper Adams, and Elvin Jones, he remained in Detroit to study at Wayne State University, from which he earned a B.A. in music composition and theory in 1955. He also studied classical guitar with Joseph Fava during that period and continues to employ finger-style and other techniques. A six-month tour in 1955 with the Oscar Peterson Trio helped to set Burrell's sight on the Big Apple. The following year, he and Flanagan drove to New York City and were promptly drafted into the major league of jazz. Burrell not only became the city's most in demand Jazz guitarist, recording with his own groups and with Coltrane, Billie Holiday, Thad Jones, Kenny Dorham, Paul Chambers, Jimmy Smith, Gene Ammons - and many others, but played on pop sessions with the likes of Tony Bennett, James Brown and Lena Horn and worked in the pit bands of such Broadway shows as Bye Bye Birdie and How to Succeed in Business without Really Trying. In all, Burrell has recorded more than ninety albums as a leader. This body of work has received much critical acclaim. Since the mid-Sixties, the guitarist has been leading his own group plus working in All-Star settings and has performed with college bands and orchestras. He has also performed with professional orchestras such as the Detroit Symphony and the Buffalo Philharmonic. 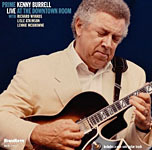 Kenny Burrell has been the recipient of many awards and has been voted Best Guitarist numerous times by music fans and critics worldwide. Recently he received this honor for the second time from the Jazz Times International Readers Poll. His music and recordings have received much international recognition including the Prix de Disc from Switzerland. He has also received many academic honors including a Doctorate of Human Letters, and the 1997 Ellington Fellowship awarded by Yale University. He was voted favorite Jazz Musician by listeners of KLON Jazz Station in Los Angeles in 1996 and was inducted into the KLON Jazz Hall of Fame. He served on the awards panel for the National Endowment for the Arts and was the National Chairperson for guitars for the National Association of Jazz Educators. He has been dubbed America's guitar laureate by the Detroit Free Press. 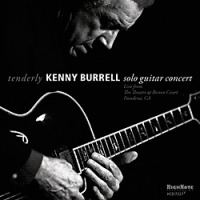 Guitarist Kenny Burrell Interviewed at All About Jazz! 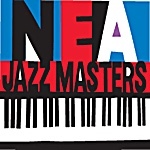 Enter the "HighNote 2-CD" Giveaway at All About Jazz! All About Jazz musician pages are maintained by musicians, publicists and trusted members like you. Interested? Tell us why you would like to improve the Kenny Burrell musician page.